Team Kenya was on board with more than four hundred billfish landed between the three guests, so naturally, it wasn’t long after we welcomed them on board and the teasers went back. 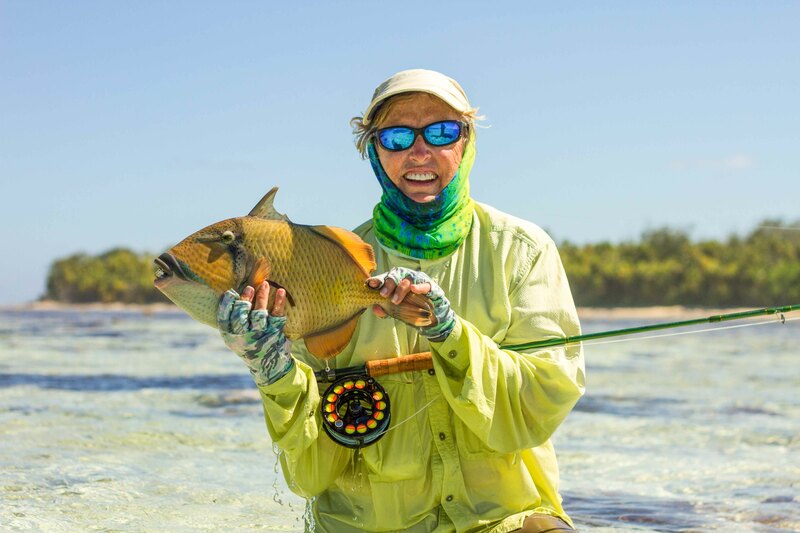 Starting our first day with near perfect weather, we headed up into the first two lagoons with Garry and Gai Cullen in search of bonefish. Garry didn’t take long before nailing his first bonefish on the flats. 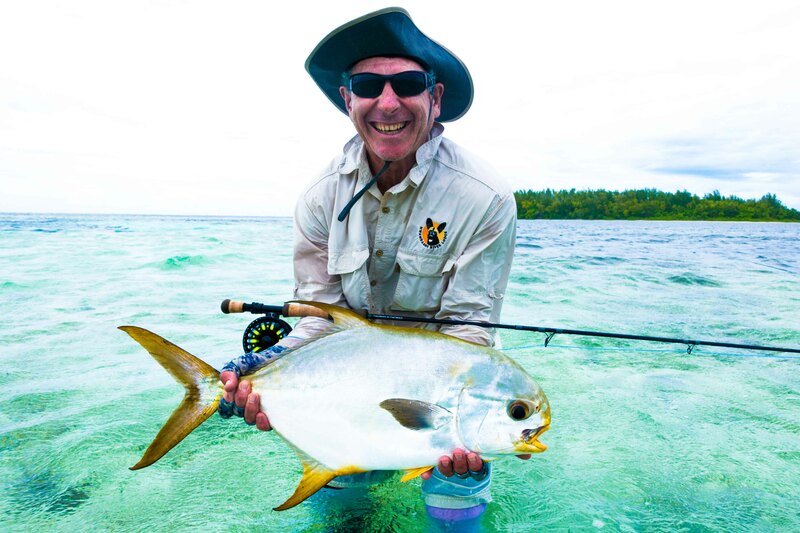 Poling up in the lagoon of Poivre gives you the sense that you could very well be the first ever person to fish between its lush mangroves. We love fly fishing at Poivre. 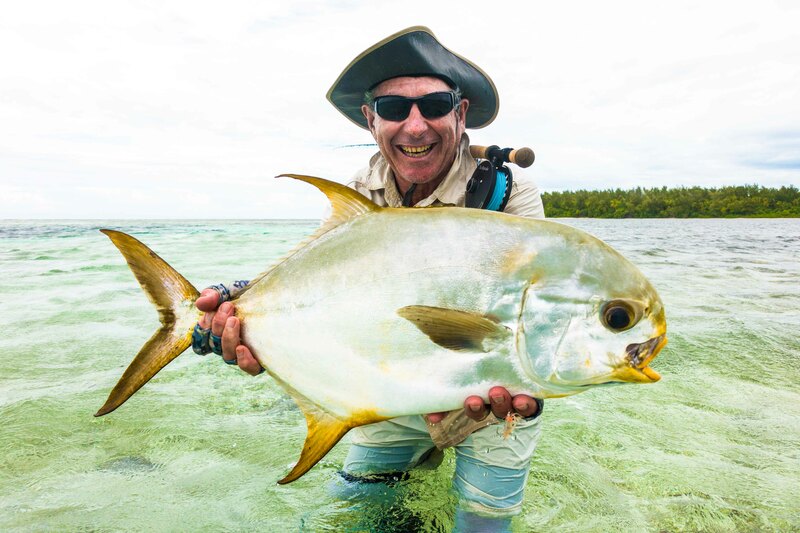 Jeremy had some great shots at permit and he managed to get a few fish to follow but unable to entice them to take the fly. 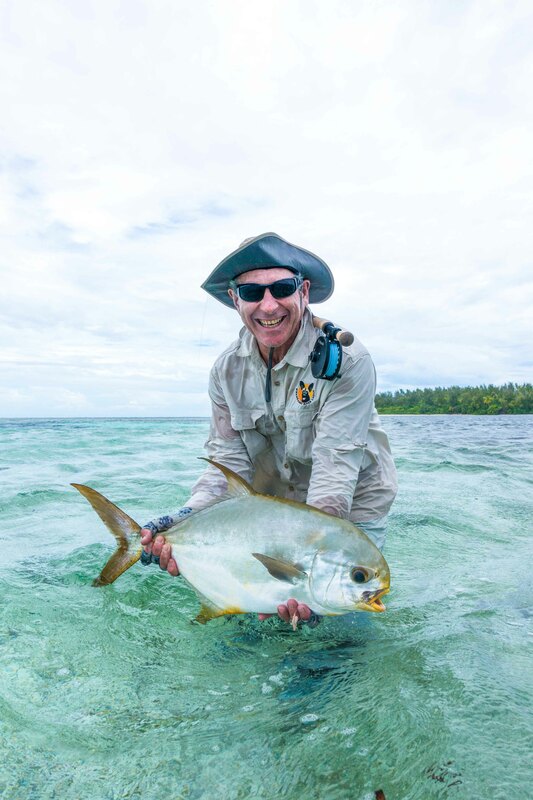 After fishing to almost 80 fish, our luck changed on the third day when Jeremy managed to land a beautiful tailing Indo-pacific permit. During the final days Gai hooked into two big GT’s that were smashing bait but was unfortunately cut off shortly after setting the hook. 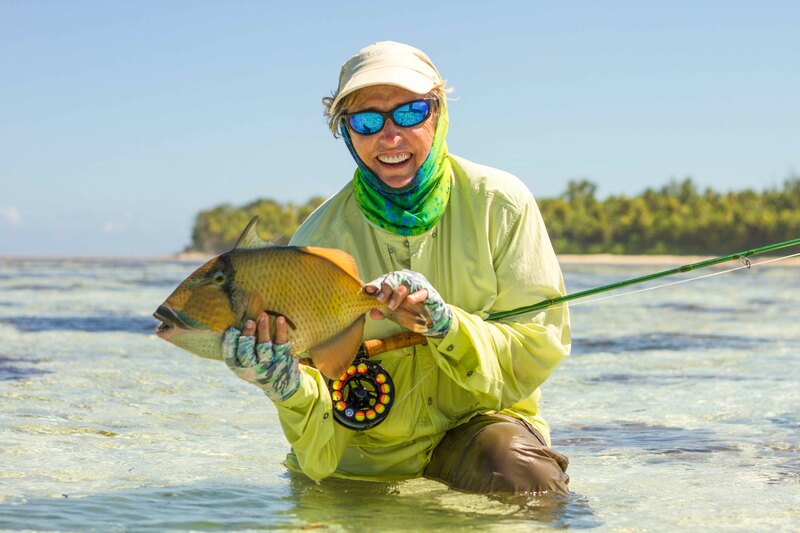 Arriving at Alphonse for the last days fishing and Gai managed showed the lad’s how its done and finished the week off by landing a beautiful moustache triggerfish.